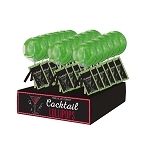 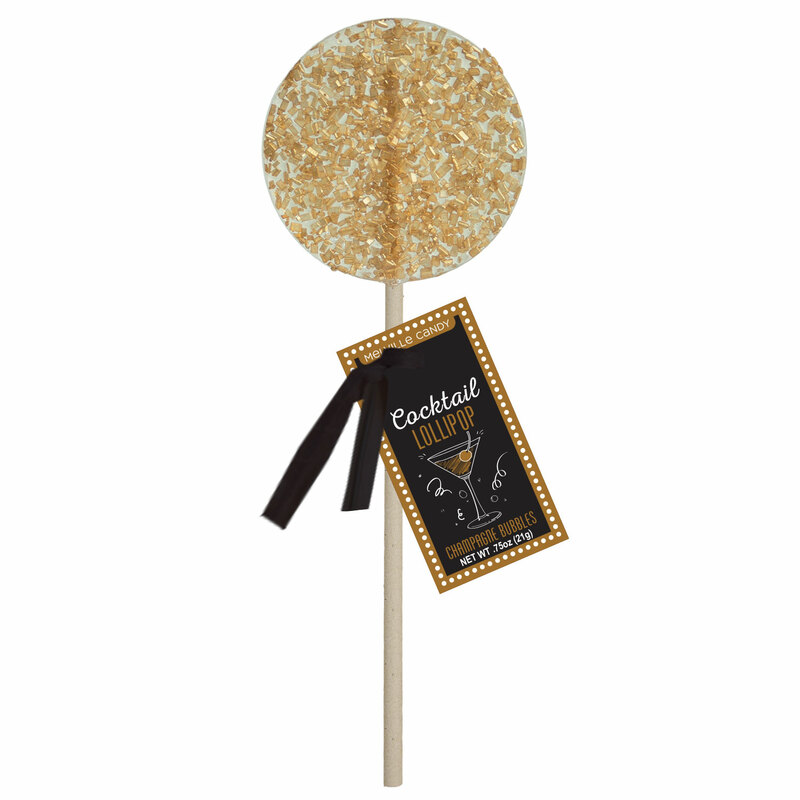 Our Champagne Bubbles Cocktail Lollipops come with 24 hard candy lollipops flavored with champagne and embedded with gold sugar crystalz. 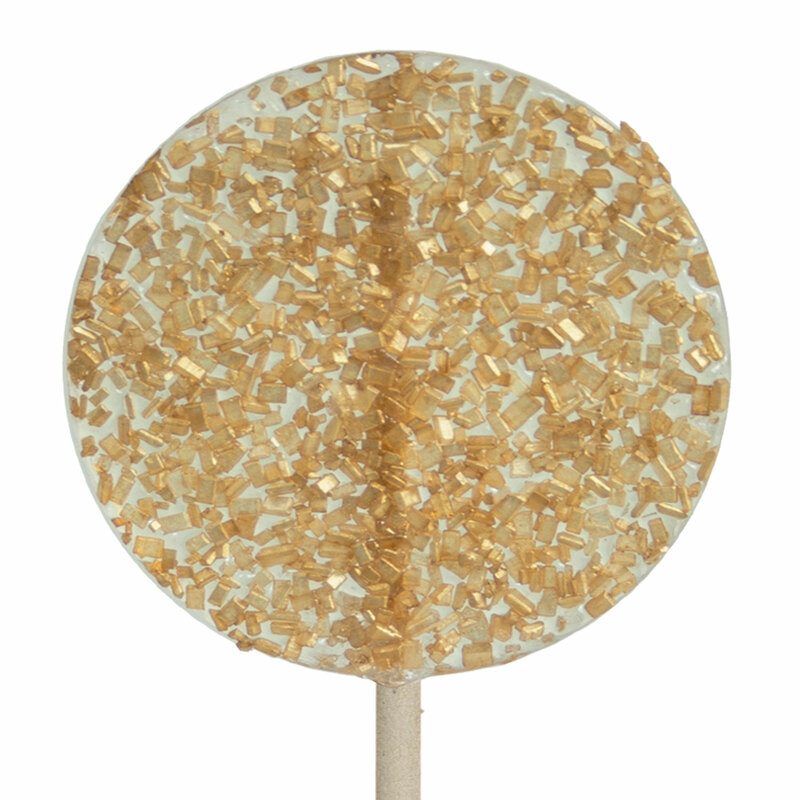 This item comes with paper hang tags on your choice of stick. 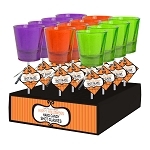 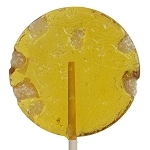 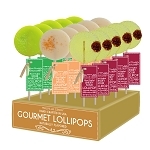 Each lollipop is hand-poured; slight variations will occur.